Andy Lohmiller, Lohmiller Real Estate, is currently serving his second tour of duty in Afghanistan. Sgt. First Class Lohmiller began this tour back in February. He has served for 15 years as a member of the 38th Infantry Division of the Indiana National Guard. 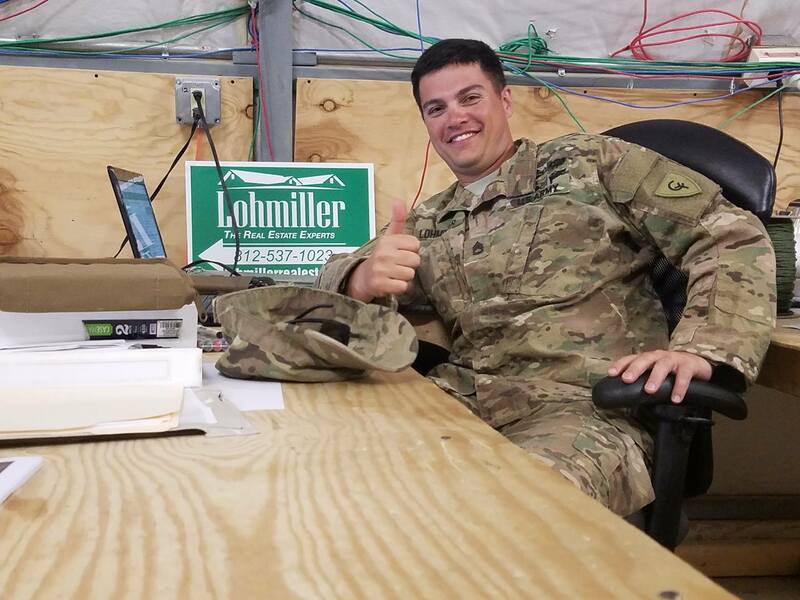 Lohmiller is part of NATO’s Resolute Support Mission to rid Afghanistan of the Taliban and create an environment where terrorist will never flourish again. Lohmiller is the Broker/Owner of Lohmiller Real Estate. He stil lmonitors his company from Afghanistan, but he has left the company in the very capable hands of his wife, Lindsay, and the other members of his management team. Lohmiller and his wife also have three sons who he gets to chat with on a regular basis thanks to Facebook. Lohmiller will return back to his home in Indian in the fall. He hopes to help train up the next generation of leaders in the military. We are proud to have Lohmiller as a member of CABR. Our thoughts and prayers are with him and his family.